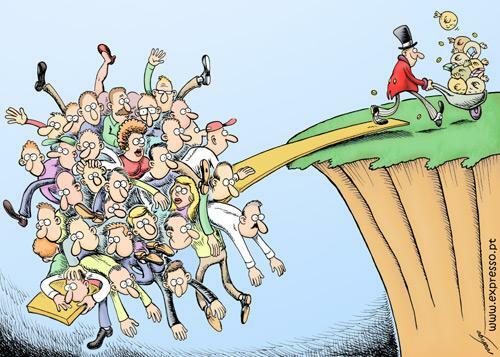 Inequality was the hot topic in economics and political economy in 2014. Thomas Piketty’s magnum opus, ‘Capital’, hit the best-sellers list and brought an overdue and welcome look at the historical evolution of wealth distribution in the developed world. Politicians, business leaders and celebrities all weighed in with their analysis of Piketty’s research and brought inequality discussion firmly into the mainstream. I finally got round to reading it towards the end of 2014 and found myself in agreement with much of what was written, particularly with the compelling case Piketty makes for the historical evolution of inequality. The crux of the matter, says Piketty, is that over the long-run returns to capital (r) are larger than economic growth (g) and so there is a tendency for wealth to outgrow income, leading to increased levels of inequality. This central point of his analysis has made some waves in the economics community and there has been a predictable backlash from some quarters. Nonetheless, it makes for compelling reading up to, that is, the point where Piketty proposes measures to reduce inequality (more about this later). Although ‘Capital’ is already old news, it is been in my mind over the last couple of weeks due to a few interesting developments. Firstly, it was a shock to see President Obama move towards tackling inequality in his State of the Union address in January with a few Piketty-influenced measures. Raising capital gains tax to 28% for those with incomes over $500,000, closing a popular tax loophole for the rich, and imposing a new levy on firms with assets over $50 billion, were all interesting measures, and not ones we would normally expect from a US President. Although the sentiment is right, it is still hard to justify the wealthy paying less in capital gains than regular mortals pay in income tax.